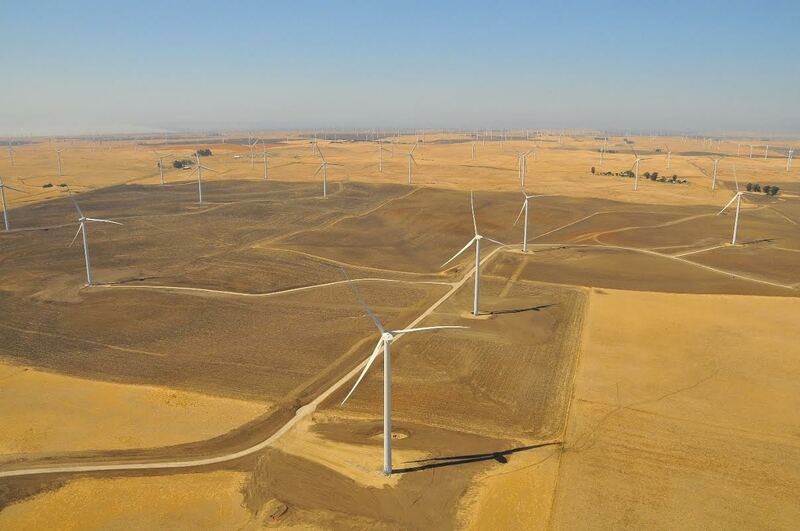 The Shiloh III Wind Project represents EDF Renewables’ fourth wind project in Solano County’s Montezuma Hills Wind Resource Area. This development follows the 150 MW Shiloh II Wind Project, which began delivering clean electricity in 2008. The project stretches over 4,600 acres of farmland, 98% of which remain usable for farming and ranching, and consists of 50 REpower 2.05 MW turbines. PG&E purchases the power generated under a 20-year Power Purchase Agreement, providing approximately 50,000 customers with clean electricity. The project generates new jobs and tax revenue for local businesses and provides economic benefits by means of job opportunities and equipment purchases.